One of my infantile leftist ex-friends recently referred to the Free Syrian Army as a ‘sectarian gang’. The phrase may well come from Asa’ad Abu Khalil, who seems to have a depressingly large audience, but it could come from any of a large number of blanket thinkers in the ranks of the Western left. I admit that I sometimes indulged in such blanket thinking in the past. For instance, I used to refer to Qatar and Saudi Arabia as ‘US client states’, as if this was all to be said about them. I did so in angry response to the mainstream Western media which referred to pro-Western Arab tyrannies as ‘moderate’; but of course Qatar and Saudi Arabia have their own, competing agendas, and do not always behave as the Americans want them to. This is more true now, in a multipolar world and in the midst of a crippling economic crisis in the West, than it was ten years ago. Chinese workers undertaking oil and engineering projects in the Gulf are one visible sign of this shifting order. The problem with blanket thinkers is that they are unable to adapt to a rapidly shifting reality. Instead of evidence, principles and analytical tools, they are armed only with ideological blinkers. Many of the current crop became politicised by Palestine and the invasion of Iraq, two cases in which the imperialist baddy is very obviously American. As a result, they read every other situation through the US-imperialist lens. Qaddafi had opened up Libyan oilfields to Western exploitation, he bought Western weapons, and he tortured rendered suspects for the CIA. Inspired by uprisings in Egypt and Tunisia, the Libyans rose against the tyranny with incredible courage. When Britain and France, for their own reasons, helped to hasten the end by degrading Qaddafi’s mercenary forces (important but not decisive help – Qaddafi’s fall was effected by a rising in Tripoli and an influx of fighters from the Jebel Nafusa), blanket thinkers very insultingly painted the popular revolution as a foreign plot. Some even retrospectively raised Qaddafi to the rank of anti-imperialist hero. And since the fall of the old regime they’ve done everything they can to paint Libya as a failed state, a site of genocide, a new Iraq. It’s pretty insulting to Iraq as well as to Libya. The fact that politics and civil society were effectively banned for decades, and the fact that Qaddafi imposed a civil war on his people, traumatising them and causing thousands of young men to take up arms, means that the new Libya faces imense problems. This is not news. Whenever a dictatorship ends violently, all the problems which have been repressed will burst forth. It’s like taking the lid off a steam cooker: all the good and evil in the society, all the intelligence and stupidity that was previously hidden, will spill out. This is not an argument for keeping the dictatorship. Several hundred have been killed in Libya since the fall of Qaddafi, mainly in battles between rival militias. 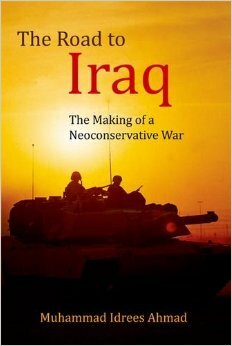 Sometimes this has had a tribal or revenge aspect, but there has been no Iraq-style ethnic cleansing. There is a small separatist movement in the east. Fringe Islamist extremist groups have made a lot of noise. Many of the armed young men are reluctant to give up their arms. But there has been a very successful election. If the new government is able to absorb the militias into a national army and to resolve tribal, regional and other disputes within an accepted political process, Libya can look forward to a much better future. Opinion polls and conversations with Libyans show that an overwhelmingly large majority are happy that Qaddafi has gone and are optimistic about the future. But what does Libyan opinion matter to blanket thinkers? After 17 months of slaughter in Syria, there is no no-fly zone. The extent of Western and ‘client’ intervention is this: Saudi Arabia and Qatar may be providing a small amount of light weaponry. The Turks may be helping to coordinate the weapons deliveries. The CIA appears to have a few men on the ground watching where the weapons are going and hoping (vainly) to ensure that they’ll never end up in the hands of anti-Zionist militants. On the other side stands a nakedly sectarian regime which considers its people slaves and murders them and destroys their cities with Russian weapons. Imperialist Russia, which has oppressed Muslims in the Caucuses and central Asia, and which bears half the blame for all the Cold War hot wars in Africa, is resupplying the regime with attack helicopters, tank parts and ammunition as the death toll surpasses seventeen thousand. Russia also protects the regime from condemnation at the UN security council. It plays the same role with regards to Syria that the United States plays with Israel. But how do the blanket thinkers see the situation? For them it’s yet another clear cut case of American imperialist aggression against a noble resistance regime, and once again the people are passive tools. At best they are passive tools. They are also depicted as wild Muslims, bearded and hijabbed, who do not deserve democracy or rights because they are too backward to use them properly. Give them democracy and they’ll vote for the Muslim Brotherhood, and slaughter the Alawis and drive the Christians to Beirut. The blanket thinkers search for evidence of crimes committed by the popular resistance, and when they find them (usually on very flimsy evidence) they use them to smear the entire movement. They demand the resistance negotiate with a regime which has proved again and again that its only strategy is slaughter. They demand that the people remain peaceful as their children are tortured, their women raped, their neighbourhoods levelled. Leftist blanket thinkers do not apply the same criteria to the popular resistance of the Palestinians. It’s Zionists who do that. To call the Free Syrian Army a sectarian gang is tantamount to calling the Syrian people a sectarian gang. It betrays a willed ignorance of reality. The FSA was formed in response to the sickening violence perpetrated by the Syrian regime, which at this stage is certainly a sectarian gang. Its Alawi military units work with armed Alawi civilians to slaughter Sunnis. This is a disaster for the Alawis and everyone else; it sows the seeds of a potential war which would destroy the country for generations, and it’s one of the first reasons why the regime must go as soon as possible. But the FSA is in reality hundreds of local militias which sometimes cooperate. It consists of defected soldiers (these people are heroes – they fled the army at huge personal risk because they were unable to stomach murdering their people; most soldiers who try to defect are killed before they leave base) and local men who have taken up arms to defend their neighbourhoods. Because the FSA is made of ordinary men, it covers an enormous range of political opinion. Some fighters are disillusioned Baathists, some are secularists, some leftists, some support the Muslim Brotherhood and some are attracted by extremist Wahhabi rhetoric. Some, I’m sure, are criminals, because some of the Syrian people are criminal. Some will be in it in the hopes of financial or sexual profit, because that’s the way people are. Most are apolitical people, except for the fact that they want to bring down the tyranny. They fight because they have no choice. Of course, there is a huge danger that apolitical people will be easily manipulated by sectarian rhetoric, especially given that their enemy instrumentalises sectarianism. This is certainly a difficult period for revolutions in the Muslim world and internationally. The collapse of leftist thinking and reach, and the shrinking of public debate by dictatorships and consumerism, has left the way open to retrograde forms of religious or nationalist politics. Some of the battle videos labelled ‘Free Syrian Army’ look and sound depressingly similar to jihadist videos from Iraq. But for now it’s mainly a problem of style and ignorance, and it can easily be misinterpreted by an orientalist eye. Most Syrian people are religious, whether we like it or not. 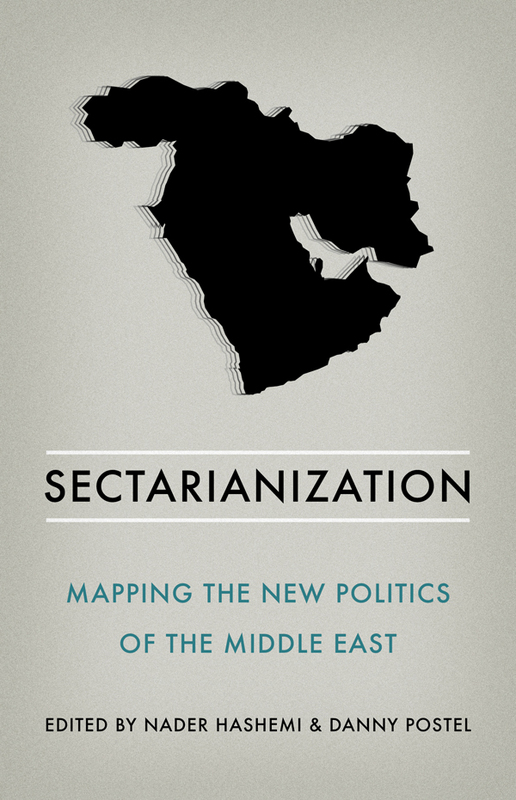 But most Syrian people are also aware that a sectarian war would produce no winners. The Allahu Akbar chant expresses a faith which is necessary to overcome the fear of being shot. It doesn’t autmomatically mean ‘Kill the Kuffar’. (But who am I talking to? The Palestinians use religious rhetoric and talk about ‘the Jews’ rather than ‘the Zionists’, and it doesn’t bother the blanket thinkers for a moment). The longer the necessary fight goes on the more brutalised the people will become, and the more likely that vengeful sectarian voices will dominate. It is the duty of any right-thinking person, leftist or otherwise, to support the oppressed people in their struggle. Anyone who does so, and who respects the Syrians enough to base their comments on knowledge rather than assumption, will have earned the right to offer political advice to the Syrians. The FSA is inevitably disorganised and outgunned. But it’s a lot more organised than it was a few months ago, and it is liberating territory. It fights with commitment and incredible resilience. Today the battle is in inner Damascus. And a few days ago it was in the Yarmouk and Palestine refugee camps, which brings me finally to the strange fact that blanket thinkers persist in thinking of the Syrian regime as in some way a threat to Israel. It’s true that Syria helped Hizbullah stand firm, and this is not a small thing. It’s also true that the Syrian regime has massacred Palestinians in Tel Zaatar and other Lebanese camps, that since 1973 the border with the occupied Golan has been quieter than borders with states enjoying peace agreements with Israel, and that Syria has never even tried to shoot at the Israeli planes which have bombed its territory since Bashaar inherited power. But things have become clearer since the uprising began. Rami Makhlouf told the New York Times that Israeli security depended on the Syrian regime’s security. Paul Woodward at War in Context quotes Reuters on the regime’s recent transportation of chemical weapons: An Israeli official said however the movements reflected an attempt by President Bashar al-Assad to make “arrangements to ensure the weapons do not fall into irresponsible hands”. Woodward then comments: So, while the word from Damascus is that “terrorists” armed with “Israeli-made machine guns” conducted the massacre in Tremseh yesterday, the word from Tel Aviv is that Syria’s chemical weapons are nothing to worry about so long as they remain in the responsible hands of the government. There might be a certain amount of truth in that statement. Still, it’s not exactly the rhetoric one might expect from a representative of an alliance that is supposedly gunning for Assad’s downfall. On the contrary, it reflects the fact that Israel would be much happier to see Assad remain in power. Here’s a simpler proposition for the blanket thinkers: Hizbullah won victories because it respects its people, because it is of its people. A regime which murders its people and destroys the national infrastructure, which plays with the dynamite of sectarian conflict and puts the whole people’s future in question, would be incapable of winning a victory even if it wanted to. 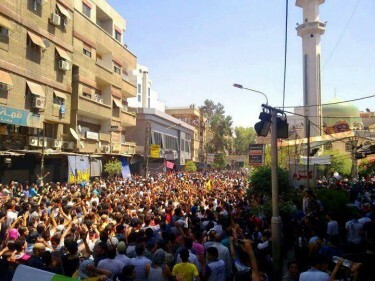 On Friday tens of thousands protested against regime barbarism in the Palestinian camps of Damascus. Regime forces opened fire, murdering eleven. Many more were dragged from their homes to be tortured in detention. Professional liar and regime spokesman Jihad Maqdisi then described Palestinians as ‘impolite guests,’ outraging Syrians and Palestinians, who are the same people, now more than ever. Well said Robin. Worth a read. Such blanket accusations levelled against “blanket leftists” could well use a bit of documentation. Who are you talking about? Which statements are you referring to? •	Why don’t you find it troublesome that the CIA, Saudi, Qatar are pouring weapons into Syria? And how do you know they are “lightly armed”? The so-called FSA has anti-tank, anti-helicopter weapons, and enough high-explosives for car bombs. 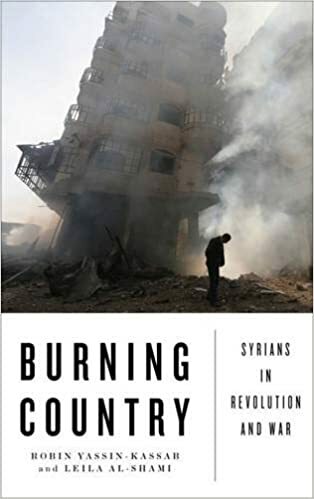 •	Philip Giraldi, the former CIA official, referred to reports that FSA has been involved in massacres. Kindly address that. •	And are you troubled by the FSA planted large car bombs in the middle of Syrian cities? If not, why not? Or are you suggestion that the “regime” planted these themselves? And the “leftist” or “rightist” labelling has sort of lost much significance. But one of the defining elements of anyone seeking the “left” label would be one opposed to foreign intervention in other nations’ affairs – but it seems that you think such stance is “blanket infantile”. Maybe anyone disagreeing with you is by definition “infantile”. I’m talking about Asaad Abu Khalil, Tariq Ali, Seamus Milne, Charlie Skelton, Amal Saad Ghorayeb, Joseph Massad, George Galloway, Pepe Escobar, a million ‘pro-palestine’ people on facebook (like Asa Winstanley) and many many others. My support for the FSA is not blanlet, and in the post above I do study the problematic implications. I would have preferred to have a peaceful transition, but the regime did not allow it. I don’t believe that the Saudi and Qataris atre pouring weapons in. Most weaponry is captured from or sold by regime troops. The CIA isn’t arming them – unless you have proff noone else has seen. I am very pleased by Qatari and Saudi help, although of course I am suspicious of these powers, as I’ve frequently written before. If some sections of the FSA have been involved in massacres (I’ve seen nothing convincing to suggest they have) then I condemn it. It is of course possible. THe FSA are ordinary people, as I explained above. No, I don’t want a no-fly zone. I never said I did, although in Libya it worked very well. I am opposed to intervention in the Syrian case, although I support the Arabs arming the resistance bevcause it is necessary. I do think you are infantile, because you make assumptions about what I think rather than reading properly. And your tone is insulting. Today a revolution is happening in Damascus. People are dying, and winning victories. This is an important historical moment for me, my friends and family, and the struggling Syrian people. I’ve bruised my fingers trying to make similar points to yours to the Children of Chomsky at medialens. (NB: I’m a great admirer of Chomsky himself.) And although I don’t agree with you about Libya (my understanding is still that NATO really won the war, not the locals; more importantly, NATO shamelessly manipulated the UN mandate, which wasn’t about regime change; support for the “no-fly zone” was, in my view, at best naive, at worst a betrayal of consistent anti-war or anti-imperialist principles…), I agree with much that you’ve written here. I’m not sure the term “blanket thinker” really does the trick, though. The problem is simply what usually gets referred to simply as ideology. There’s nothing particular leftist about it—cherry-picking facts to fit your worldview, shoving the rest onto one procrustean bed or another…. Maybe what’s so annoying about what I think of as the myopic left or the infantile left is that there’s so much ELSE where I (and probably you) agree with them. It’s dispiriting to realize that sharing all that other ideological space (say, on Latin America, environmental issues, Palestine etc.) doesn’t guarantee that people can think sensibly about something as elementary as the brutality of the Assad regime in Syria. I think you’d do the argument a service, by the way, by filling it in with some footnotes. Despite some disagreements, keep up the good work.